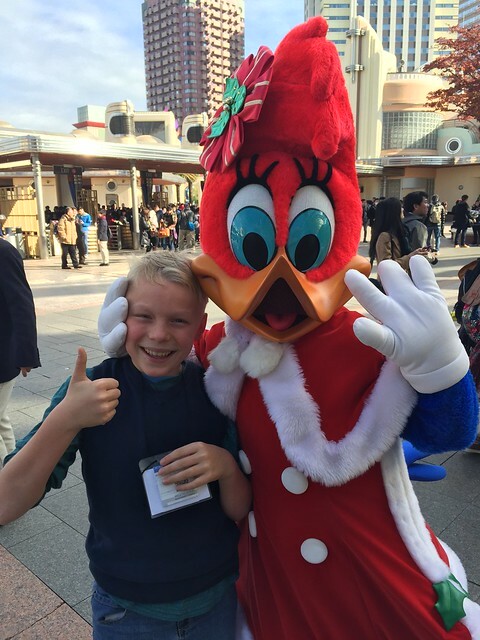 Oliver is pictured at USJ with one of the many mascots. I had a delightful Thanksgiving holiday with family and friends. For the first time in many years, we didn’t have school as our fall break coincided with Thanksgiving. We have 6 luxurious days off, including the Wednesday before and the Monday after. Just what the doctor ordered after a busy fall trimester. Wednesday November 23 is Labor Thanksgiving Day here in Japan and a national holiday. It was established after World War II as a day to commemorate human rights and honor rights of workers. It also dates back 2,500 – 1,500 years ago in Japan to the various harvest festivals under different emperors. A mental note to have the kids make drawings next year to give as gifts to the local koban (police box) as is the tradition here. We celebrated the day with a big thanksgiving dinner with friends (photo below). It is “peak” autumn foliage color right now in Osaka. 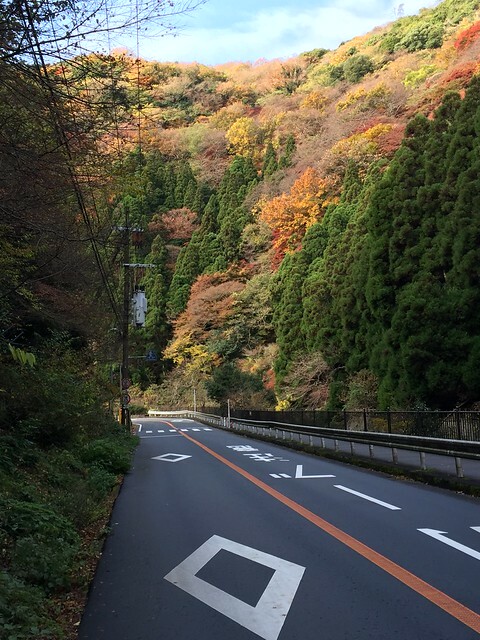 My bike ride up to Katsuoji temple in the Minoh Hills National Park was stunning. Although it is cold in the mornings, it quickly warms up to make it comfortable biking weather. 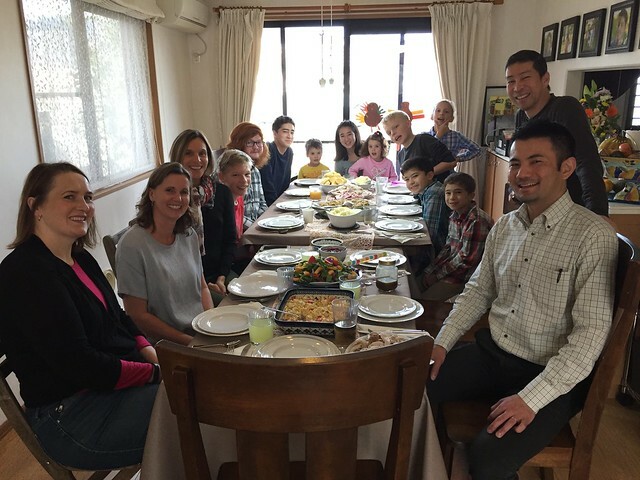 On thanksgiving day itself, which is not a holiday in Japan, we organized winter clothes and closets and did some long overdue projects around the house. With both Nadia and I working and the kids being quite active after school, we needed a day or two concentrating on the house. I hope to finish today (Saturday) with putting up the Christmas stuff and continuing improving our home. Because this is not a holiday here, we took the kids to Universal Studios Japan (USJ), which is one of the four Universal Studios (Orlando, Los Angeles, Singapore, Osaka) theme parks. During holidays, the park is absolutely swamped with people causing long waiting times for rides, but during the off season and during the week, it is reasonably crowded. I think our longest wait time was an hour and most attractions were 15-30 minutes. Seeing the popularity of the Osaka USJ, which averages 8 million visitors per year, the owners, NBC Universal, are opening parks in Beijing (2019), Seoul (2020) and Moscow (2022). The Japanese especially love cartoon characters, Harry Potter and other universal movies, and so even with other parks opening in east Asia, I think USJ will be fine. 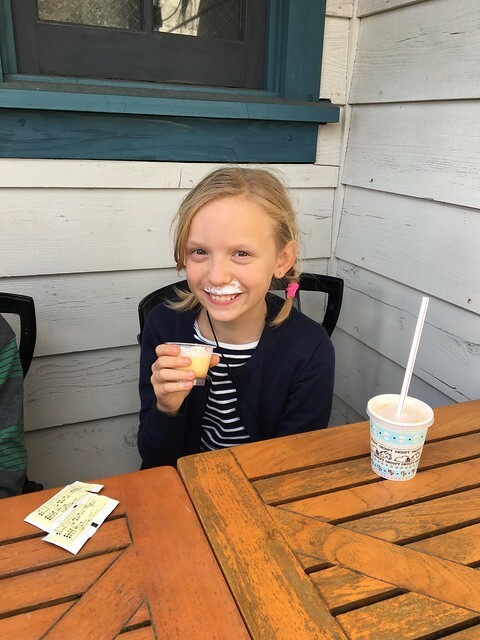 As you might know from previous blog posts, amusement parks are not my “cup of tea” and I loathe the crowds, consumerism and artificiality of it all. However, riding roller coasters is one of the things kids need to experience so I am glad I went yesterday. I loved watching their reactions to the rides and spending the day with them. 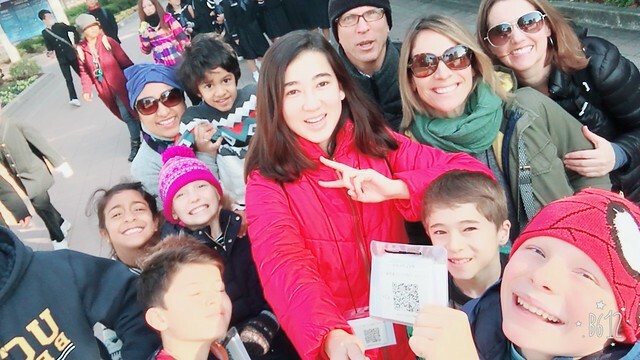 It was a good way to spend “Black Friday” and we saw other Osaka International School families taking advantage of our school holidays being different than the local schools. It was a full day as we finished off our USJ experience with a decadent meal at the Hard Rock Cafe. We are planning a trip to Tokyo Disney before we leave Japan to round out our amusement park experiences. Reflecting upon Thanksgiving, I have so many blessings. Healthy children, a beautiful wife I enjoy being with, even after almost 20 years together, an interesting career that allows me to follow my passion of teaching and travel, what more could a guy ask for. I am truly grateful for all of it!